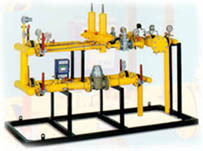 Antenna type regulation-measuring units are civil use installations, gennerally mounted in channelized nets for prepared natural gas or liquefied petroleum gas, or other nets for non-corrosive formerly prepared gas, in which the main installation cannot be closed, due to the gas net exigencies. 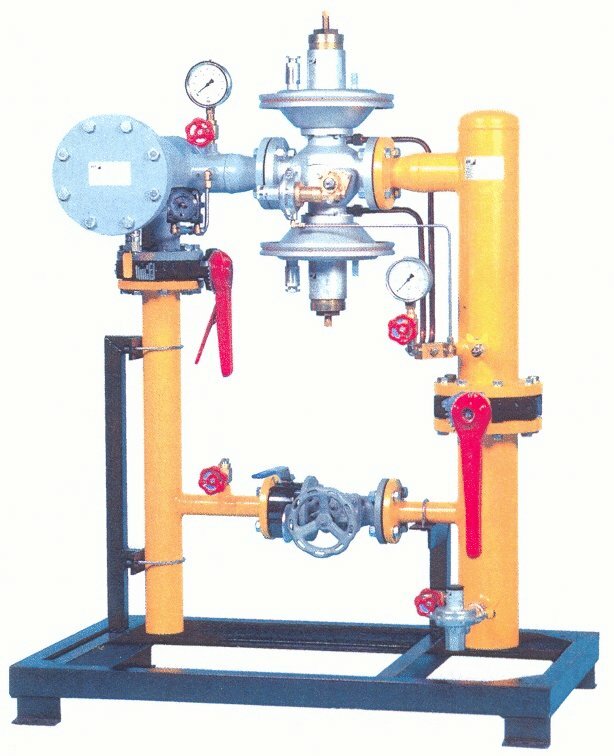 Actually, the installation consists of two "parallel" regulation lines, one of them being called "emergency line", in order to guarrantee a continuous gas distribution in case of the maintaining of the principal line. 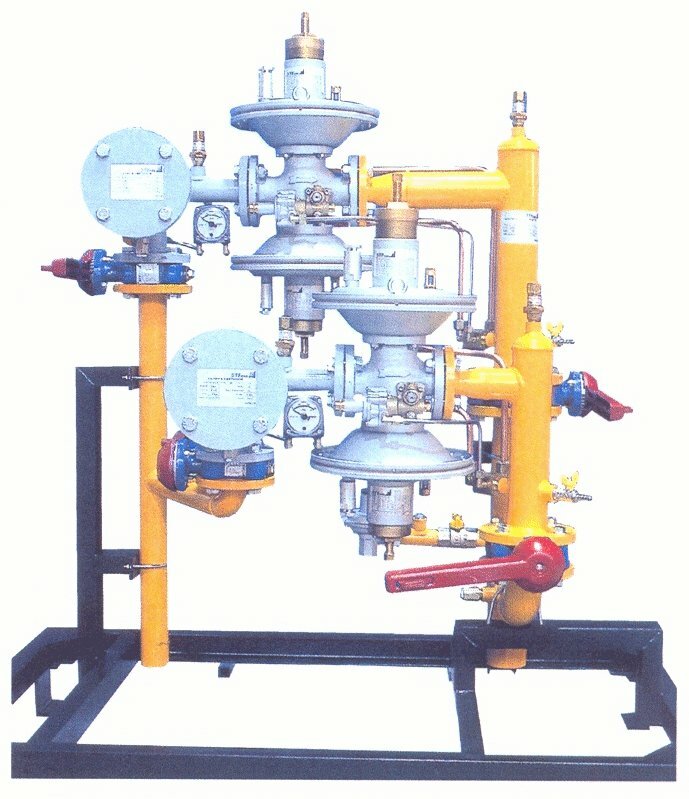 Manual type regulation-measuring units are civil use installations, generally mounted in channelized nets for prepared natural gas or liquefied petroleum gas, or other nets for non-corrosive formerly prepared gas. The main feature of the gas net, built in closed ring, enables the installations that feed it to be closed in every moment, without affecting the distribution to the consumers. The installation consists of a regulation line and a manual by-pass line, to guarantee distribution in any situation, even without control, in case of emergency or maintenance.